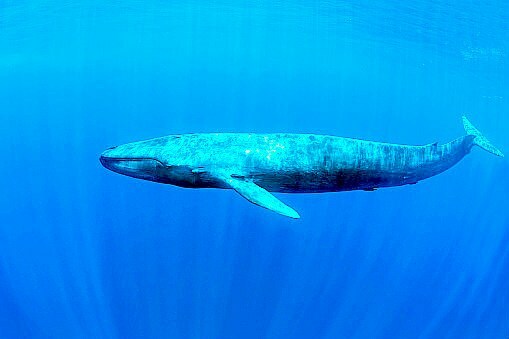 The blue whale, the largest animal ever to exist, may grow over 24 m (80 ft) in length. The loud moans of blue whales may carry through deep waters to distances more than 160 km (100 mi) away, allowing them to communicate across vast areas of water. Hunted nearly to extinction in the first half of the 20th century, blue whales are now protected, although they remain endangered.